Sigma is a leading digital User Experience (UX) agency, which designs services and digital products that help people to live and work better. The company’s aim is to build brand awareness and generate leads from businesses across the charity, digital and leisure sectors. 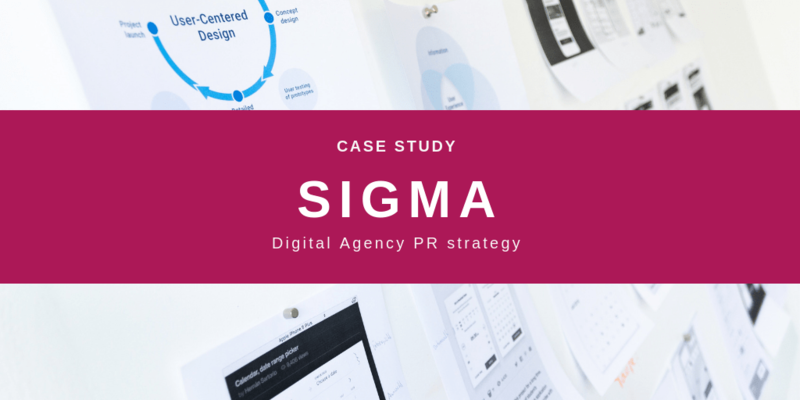 We have developed and implemented a number of strategic ‘mini campaigns’ for Sigma over the past 12 months – all of which have the company’s values at their core. Two are highlighted below. Both have been supplemented with thought leadership feature articles and expert commentary on the issues raised. CXmas – using the seasonal sales period as a hook, we compiled research on how design and user experience techniques influence online shopping behaviour. We assessed a number of top UK retailers and presented our findings in a short online report. The campaign was featured on ‘Rip Off Britain’, in The Guardian, The Mirror and in 18 further top-tier vertical media titles. Accessible Spaces – we carried out mystery-shopper testing on a cross-section of UK leisure and tourism venues to assess how well they cater for people with different types of disability. This was supported with commentary from a range of external spokespeople and video content. The research was featured on BBC Radio 4’s ‘You and Yours,’ as well as in The Guardian, The Independent and Yahoo. To find out more about how we plan and execute tech PR campaigns, contact us on on 0161 951 5394.